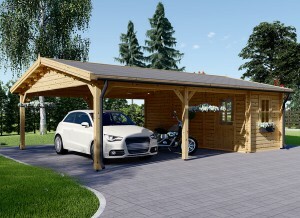 Wooden garages are quite popular and common in contemporary properties. Wood structures have always captured the attention and preference of most homeowners especially in terms of the overflowing benefits they have to offer. 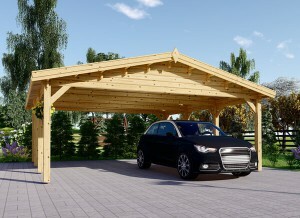 Opting for wooden garages instead of other construction materials is more preferable and beneficial because of the intrinsic properties of wood. Thus, timber garages offer a wide range of upsides from long-term durability to classic aesthetic appeal, among many others. Why go for wooden garages? The numerous features of wood as the main material for the construction of this type of garage are reasons enough why you should choose timber garage in the first place. 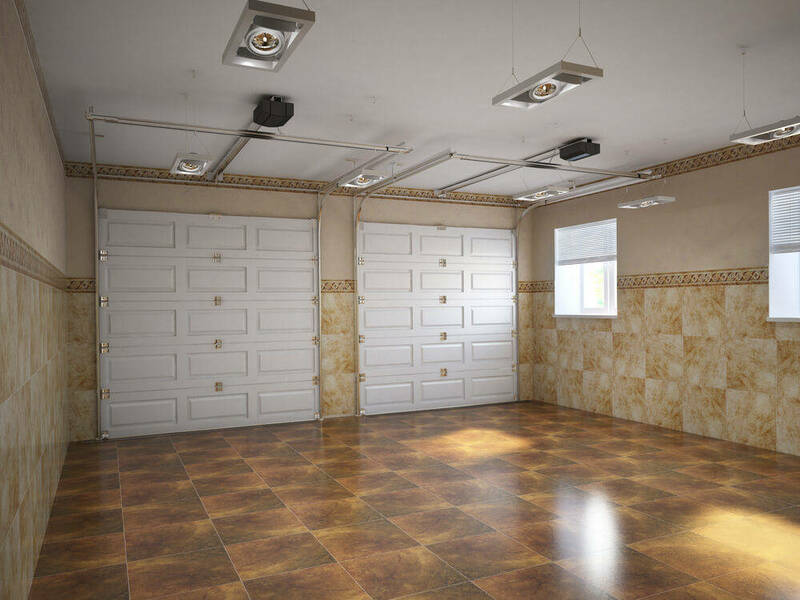 Different types of garage could vary in layout and design. Some garages are integral parts of the primary residence while others are standalone buildings. No matter what design you choose for your wooden garage, the benefits stay the same. Wood is an anisotropic, hygroscopic, and organic material, which has electrical, acoustic, thermal, functional, mechanical, and aesthetic properties. Thus, structural buildings with wood as their main materials enjoy a remarkable edge compared to other types of buildings. Wooden products come in a wide range of features and despite their share of weaknesses, wood is generally more advantageous compared to other construction materials available today. 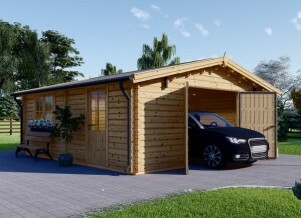 Having a timber garage allows you to enjoy the thermal benefits of wooden structural buildings. For instance, wood does not tend to expand against heat unlike other materials that alter in volume and size due to temperature changes. Wood is not prone to volumetric or linear expansion, which decreases the material strength over time. Thus, you can be sure that your wooden garage stays the same in terms of structural integrity and soundness for a long period. Materials such as steel, for instance, could expand and collapse due to increased heat when used as building materials despite its non-combustible and inorganic properties. Wooden garages become more durable and strong especially when the wood materials dry out and gain strength by the effect of heat. However, there is an instance when wood would expand and that is when it reaches below 0% for its humidity level. This expansion is scientifically significant and in an almost unnoticeable rate. Even in the driest environments, the humidity level of wood could not plummet under 5% hence, the rarity of wood expansion. Unlike other construction materials, wood also has low coefficient thermal conductivity, which is why wood is usually the best material for making matches, wall coverings, ceilings, and as handles of hardware equipment. One of the reasons why wooden garages are more preferable than other types of garage is that wood offers that classic and timeless look. Wood is primarily a decorative material that makes it effortless to enhance the overall appeal of this important structure in your property. Timber or wood comes in different colors with variety of design and even smell. You can also choose different wood design, color variety, and smell according to their natural features. You can paint your wooden garage to dark shades of varnish or give it a mat or brighter touch. Choose from over 5,000 different kinds of woods that are available all over the world. You can find local and native woods in your area if you want readily available materials for your wooden garages. Moreover, local timber products are much cheaper since you would not need to pay for the transportation charges that you may incur if the materials will be from another state or abroad. Different varieties of wood have their unique and specific gravity as well as macroscopic and microscopic properties and structures. The best wood is suitable for different needs and preferences that you have for your timber garage construction. One of the most remarkable benefits of using wood for your garage construction is insulation. Wooden garages are more comfortable and functional because wood is a natural insulator, which maintains the regular temperature inside the structure or building. For instance, you can enjoy a warmer interior in your timber garage during cold winter months or a cooler space when the temperature spikes in summer. On top of the insulation, wooden garages also offer sound or noise absorption for its intrinsic properties. You can convert your timber garage into a more livable space such as a media room, man cave, or home office extension because of these amazing properties. Wooden garages are much easier to repair and maintain because of the working properties of wood. 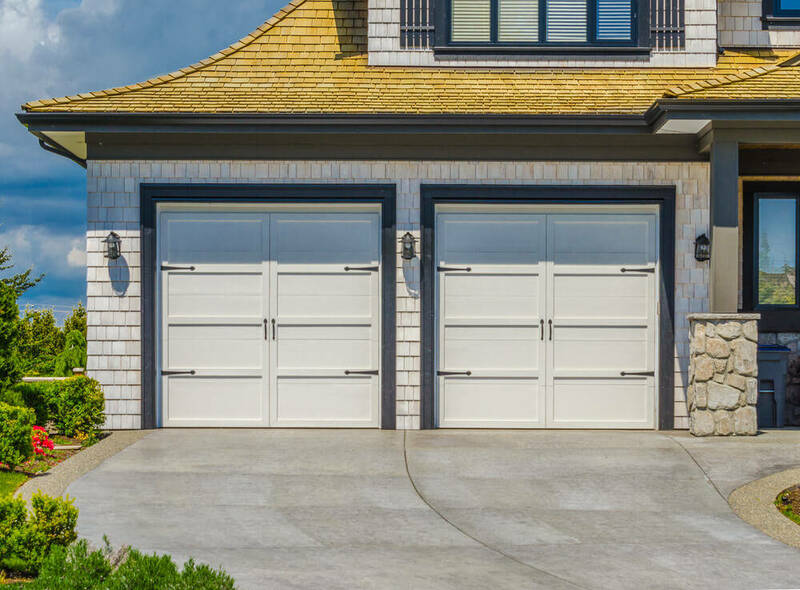 Property owners are quite hesitant to choose wood materials for their garage construction because of the misconception that wood requires high and regular maintenance. 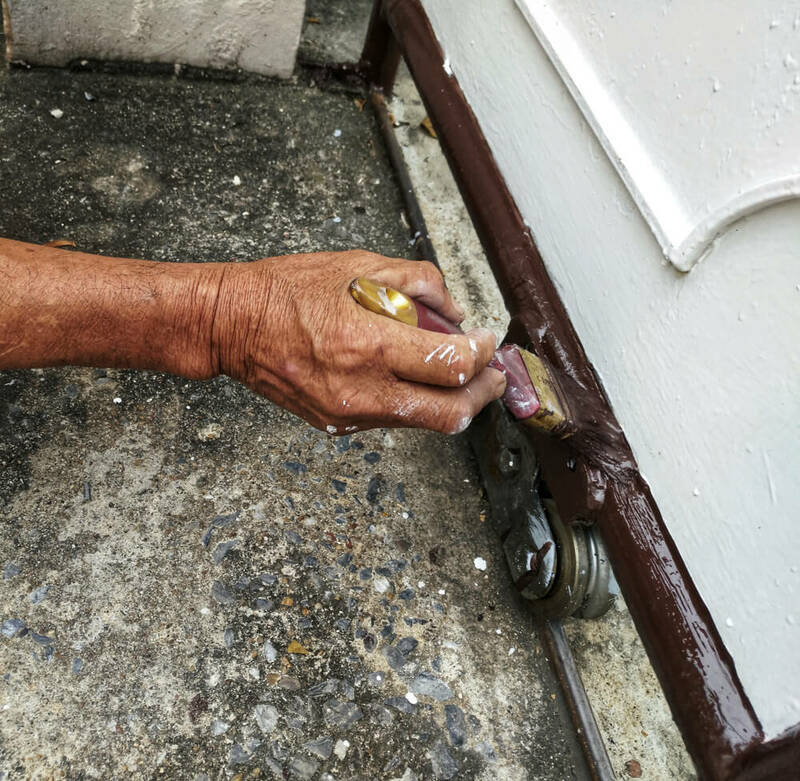 Although it is true that wooden buildings require special attention from you, maintenance is not something that should be done every day or month. Old wood is easy to renew through using special treatments and retouches. Some materials are highly difficult as well as costly to repair and maintain while wood offers readily available treatments. 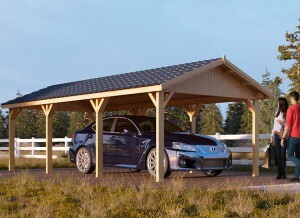 Wooden garages are mechanically superior compared to other structural buildings with different construction materials. Wood is a lightweight material but it has higher strength level. The tensile strength of the material is divided by a particular gravity, which results in the quality of material and its breaking length. Wood shows much higher strength level, making it a popular construction material not just for wooden garages but in structures such as sport halls and health centers. 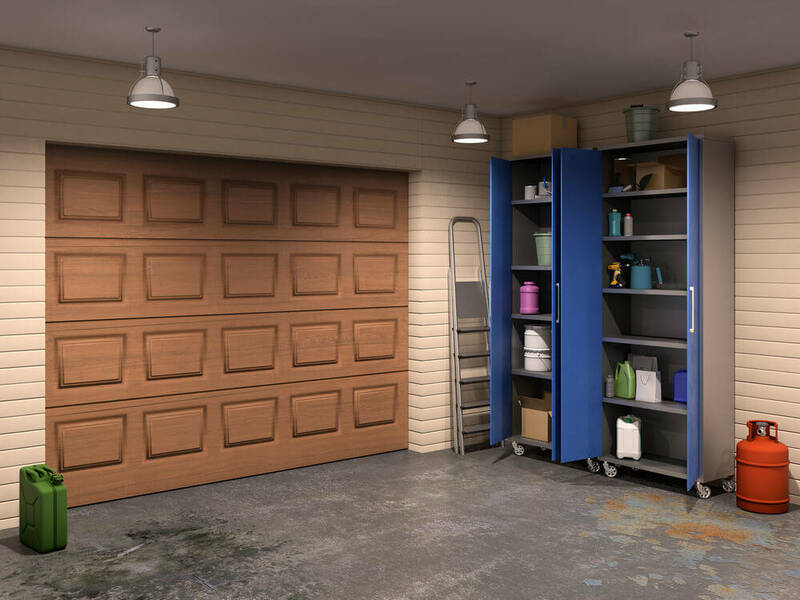 The overflowing advantages of wooden garages are due to their positive inside features. The intrinsic properties of wood prove to be the best strengths of this construction material type to be one of the most recommended in the industry.